Is she your yêu thích character in all of Harry Potter? người hâm mộ lựa chọn: Luna! Is Luna your yêu thích girl? 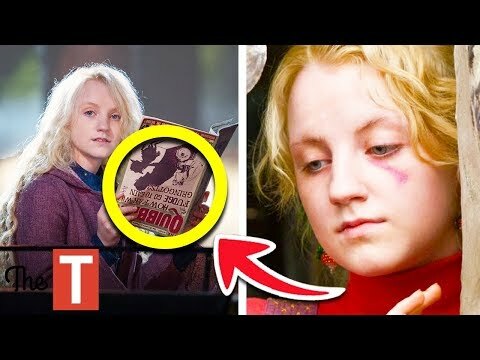 in which book do bạn prefer Luna? bạn also like Evanna Lynch? người hâm mộ lựa chọn: Sure! Who do bạn think Luna should have ended up with? do bạn think luna and ron would make a good couple? Rank the following 3 characters according to your choices: Hermione,Ginny,Luna. Do bạn like Luna-Neville as a couple? Why/Why not? "I've been able to see them ever since my first năm here. They've always pulled the carriages. Don't worry. You're just as sane as I am." "There are plenty of eyewitness accounts, just because you're so narrow-minded bạn need to have everything shoved under your nose before you--"
"I wanted to talk about how before Harry Potter, I was quite sick, and how the Harry Potter sách really helped me through an eating disorder. an answer was added to this question: Do you like Luna-Neville as a couple? Why/Why not? a reply was made to the forum post: Doesn't Luna remind bạn of Cat Valentine from Victorious? a comment was made to the answer: I think she should have ended up with Neville I mean think about it like perfect couple I would think. What is Luna's middle name? Doesn't Luna remind bạn of Cat Valentine from Victorious?